[03.05.09] Lee Min-ho’s had plastic surgery? Did Boys Over Flowers (Boys Before Flowers) star Lee Min-ho (22) go for plastic surgery? But why? Isn’t he perfect already? Speculations point to Lee Min-ho’s nose. Well, if you’ve been one (like me) who has admired his high straight perfect nose, it might not be all genes. He might have had some help from the very skillful Korean plastic surgeons. 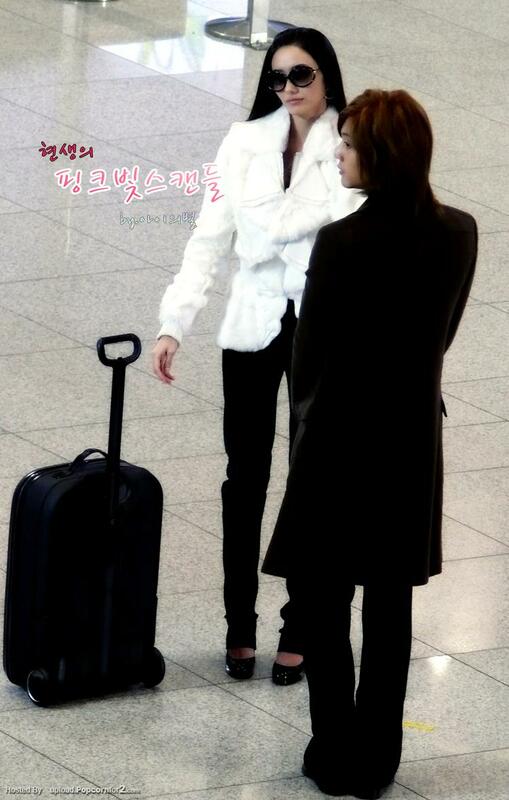 Self appointed detectives revealed that Min-ho had his nose done on 17th December, 2007. Lunar New Year is upon us and of course, now that pretty boy Lee Minho has become famous overnight for his leading role in “Boys Over Flowers,” we have to know how the curly-haired F4 member is going to spend his new year. Enjoy these ridiculously cute pictures of Lee Minho in the traditional hanbok and Happy Lunar New Year to everybody who celebrates! May the new year be the start of many good things. F4 members Lee Min Ho and Kim Bum have been nominated as candidates for the Best New Male Actor for the 44th Annual Baeksang Arts Awards held on February 27th. Lee Min Ho who became wildly popular as Goo Joon Pyo in Boys Before Flowers revealed that he will have more love scandals in the near future. 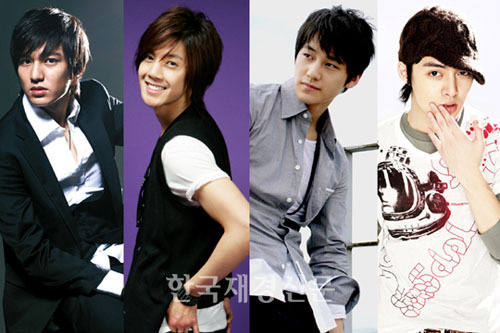 “F4″ guys in the Korean Hana Yori Dango, aka Boys Before Flowers. Although it was floated around that the casting would comprise mostly pop idol stars, it turns out (for the better, imo), that we’re split half-half between idols and actors (the two rising actors at least have a decent amount of experience — for their age, I mean). 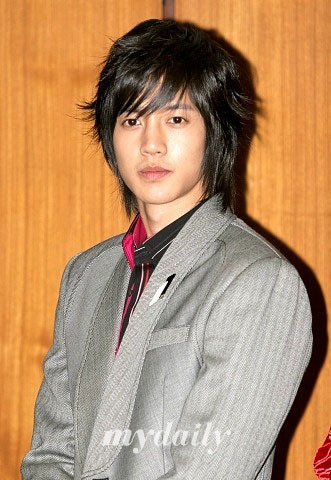 First is F4 leader in the Tsukasa role, aka actor Lee Min-ho. Kim Bum, is most recently of East of Eden as Soujiro. Lee Min-ho, born in 1987, has a decent amount of work behind him, having done several TV shows and a couple films, including I Don’t Know Either, Run! Mackerel, Public Enemy Returns, and the recent Our School E.T. He looks like Kim Hyun Joong in this pic.. I wonder if he really looks like him in his other shots..